Jeff Fuller Designs is equipped to handle grading, sod installation, and site work essential for proper drainage in both commercial and residential settings. 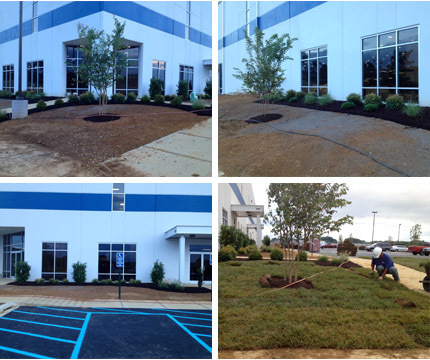 Like our landscaping, we are extremely detailed in our site preparation and sod installs. Often, this is the difference between a good job and a great job. We also provide landscaping maintenance, including lawn mowing. Click here to see some examples of our site work.